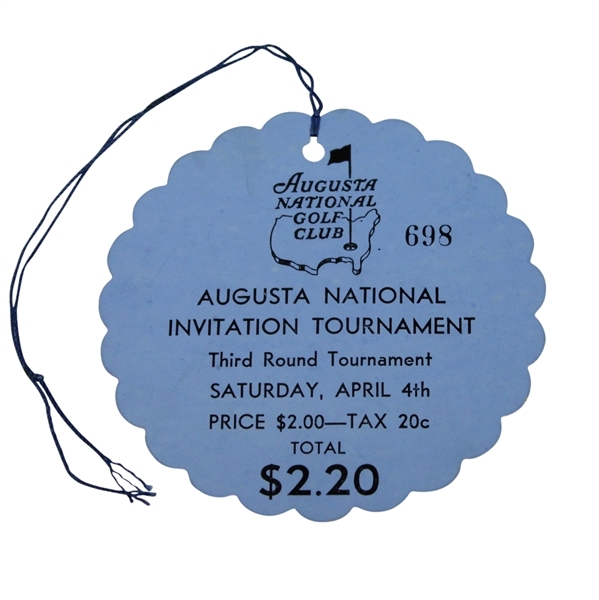 The 1936 ticket is one of the most difficult to obtain from the early years of the event. Two reasons jump out for the difficulty of this ticket. 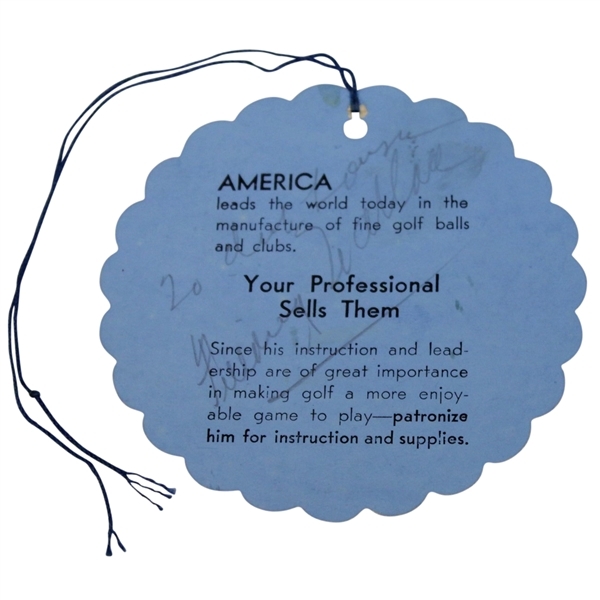 First being that the event was poorly attended with patrons losing interest in the Masters following the excitement surrounding Bobby Jones return to competitive golf in 1934. A second reason for the difficulty of 1936 tickets, is poor weather conditions which brought heavy rains to the area limiting attendance and causing destruction to those tickets which were used. The heavy flooding of the course was so bad that the '36 Masters was not completed until Monday that year when 36 holes were played. With that said it is significant that this extraordinarily crisp specimen of the 1936 even exists. 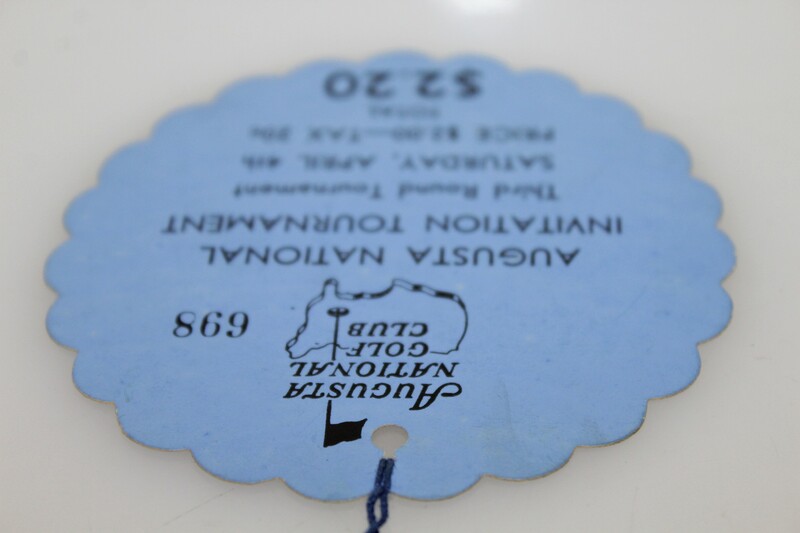 This example,ticket #698, for the Saturday Third Round of the Tournament is free from any creases on both the front and reverse. The 1936 ticket has a unique scalloped edge which is often condition sensitive, but is retained intact on this high grade example. 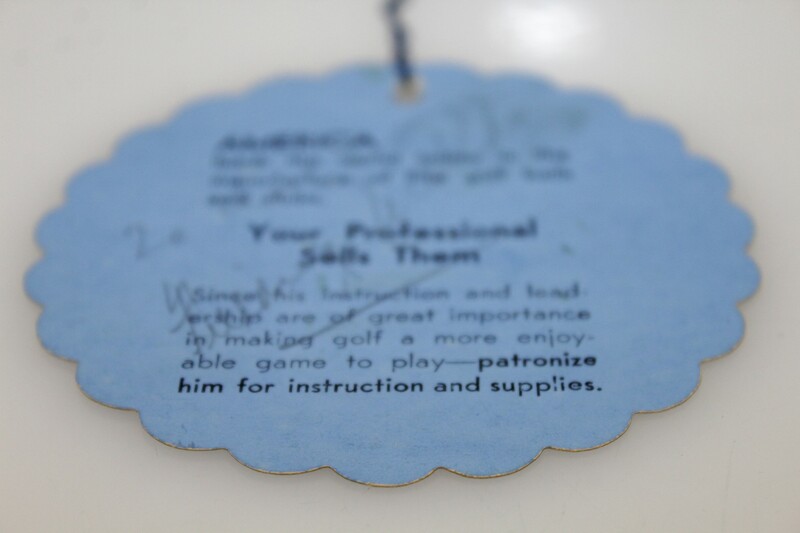 This tangible memento of the third Masters remains in pristine nr-mt condition. 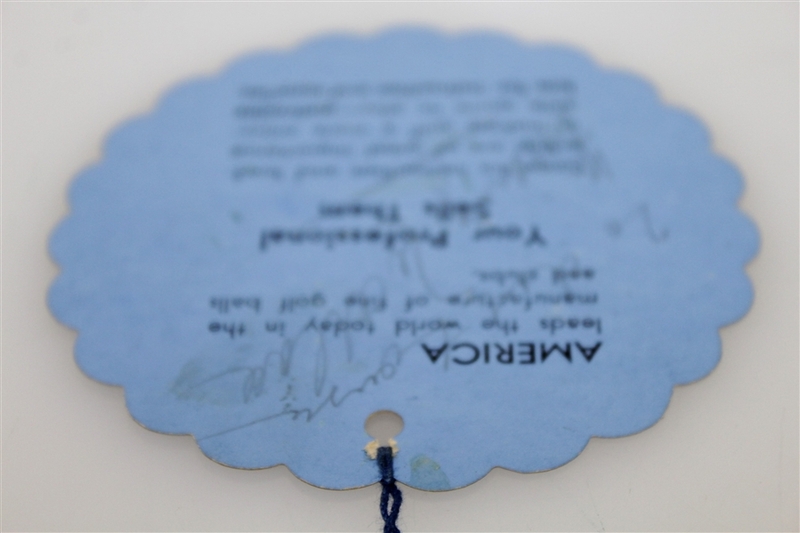 With the only flaw appearing to be a very minor adhesive staining on the back of the ticket, only mentioned for accuracy. 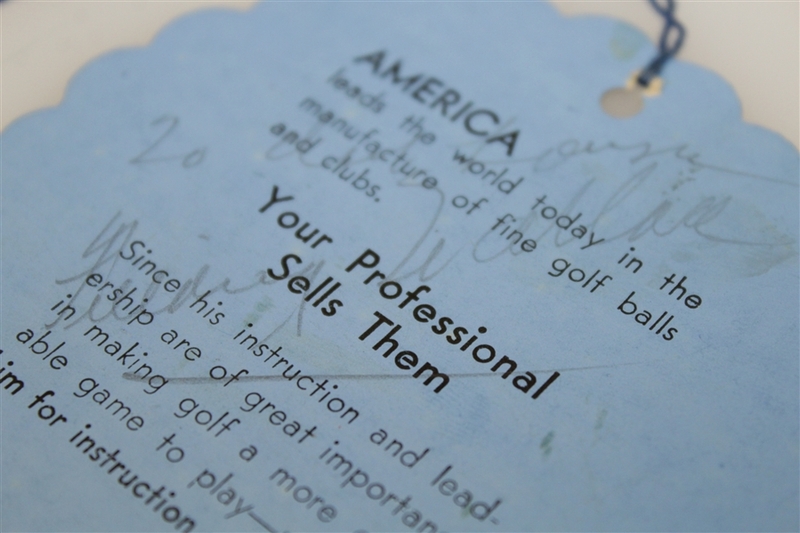 On the back a pencil signature of Founding Member, Augusta National Secretary and future U.S.G.A President Fielding Wallace is found, yielding additional provenance to this relic. 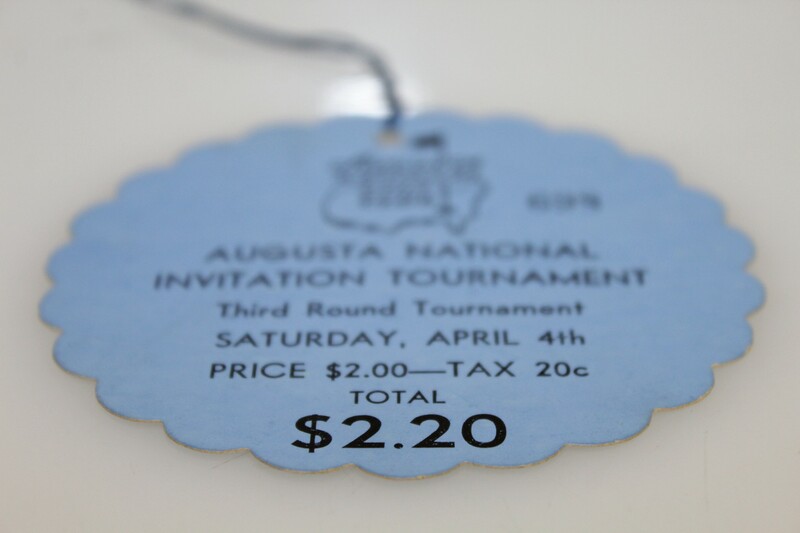 Desperately rare, a significant addition to any advanced Masters ticket collection! James Spence Authentication (JSA) has reviewed Fielding Wallace's autograph and provide their letter of authenticity with this lot. ***This ticket comes with the highest degree of provenance coming from the Charles H. Black Jr. family, Bobby Jones' neighbors in the Tuxedo section of Atlanta. *** The Black family were neighbors of the Jones in the prestigious and picturesque Atlanta neighborhood of Tuxedo Park(today known more commonly as Buckhead). This area of Atlanta's "movers and shakers" was developed by the wealthy landowner Charles H. Black, Sr. with his son, Charles H. Black, Jr's construction company providing the building services for the homes in the area including the Bobby Jones columned mansion at 3425 Tuxedo Road. It is Black Jr., a championship golfer of his own right who played in the 1929 U.S. Open at Pebble Beach.